He is the son of a Presbyterian minister and a Christian school teacher, was born and raised in Williamsport, PA. He is married and has three grown sons. In 2008, he became the organizing minister and Rector of St. Philip the Evangelist Anglican Church in Charlotte, NC. In 2012, he was called upon to serve his alma mater, St. Andrew’s Theological College and Seminary, as its seventh President. On April 18, 2015, he was elected and enthroned as the sixth Presiding Bishop of the Orthodox Anglican Church and the Metropolitan Archbishop of the Orthodox Anglican Communion. His previous appointments in the Orthodox Anglican Church include Canon to the Ordinary, Suffragan Bishop, and Bishop Coadjutor. 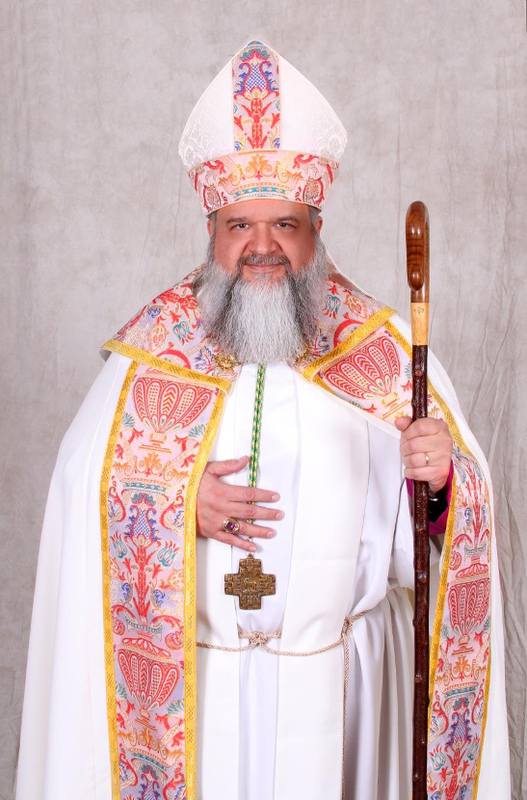 He remains Rector of St. Philip’s, and also serves as the Chancellor of St. Andrew’s Theological College and Seminary, where he provides Practical Liturgical Instruction, and teaches the Apocrypha.